Transform yourself with Schick | To Be, To Be. Tutubi. "If you had the powers of the Man of Steel for one week, how would you use it?" 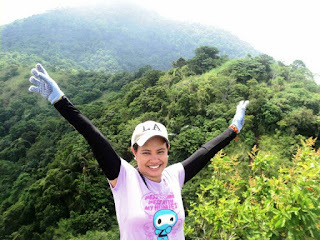 If I have the Man of Steel's power for just a week, I will use his superpowers to work on the rivers and drainages in Metro Manila so we will have no more flooding. I will use his superhuman intelligence to make the waterways work, maybe widen the drainages and improve their design. Maybe make them huge so that there will be obstruction. I will use his heat vision to destroy any obstruction in the drainages and rivers so that they will flow freely. Of course, I will also work on the pollution of the rivers and the smell of the water. With his superhuman sense of smell and sight, the rivers are awfully gonna make an impression so something must be done about them. I will use his superhuman strength to relocate shanties and illegal structures in the rivers and waterways, as well as punish the bad guys like those corrupt contractors that make flooding worse by making a quick buck on those drainage projects. Flooding is a serious problem in Metro Manila and I think that somebody with superhuman abilities will do a lot of difference. Unless of course we each use our individual powers and make little solutions to this problem that will one day add up to one superhuman effort! Remember, we can all make a difference if we try. We don't need to be superheroes, we just all have to transform ourselves, and care! that's me, after I have used my superpowers and saved the world! You too can transform yourself with Schick. Schick. Free Your Skin. No need to be The Man of Steel. Just be yourself. 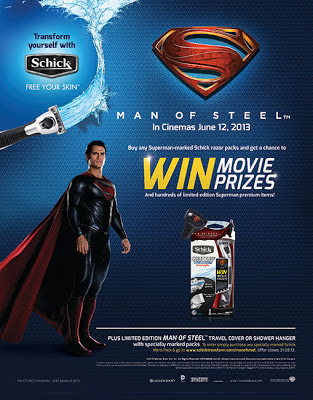 And if you want to win free movie tickets to the Man of Steel, just click the poster above and join!